We all have that time when we want to record Skype calls and have need for safely collecting our Skype conversations for future use. Whether you need to store these interactive sessions for business or personal reasons, you will need to seek out the best recording software to do that. In the search for the best Skype recorder for Windows, there are a few things one must look out for. The market is already saturated with a number of add-ons that saves conversations on Skype for Windows PC. So, as a potential user in the search for the best add-on for recording all your audio and video chats, you will need to look out for some key features and benefits. For Windows OS users who are seeking to have an effective Skype call recording software, the good thing is that you are at the right place. 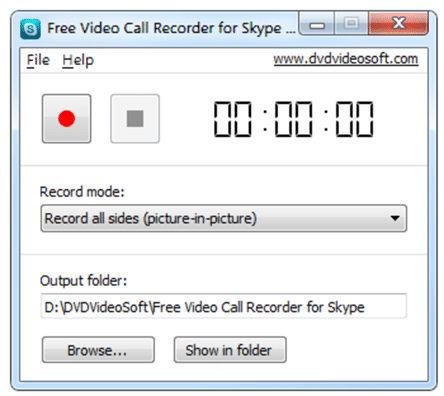 In this article, I will acquaint you with the list of 12 best Skype call recorders for Windows. For any Skype recording extra to rank in our list, there are a few features that must be looked out for. The quality of the call recording is of utmost importance. So is the format of saving the records that are made. Now, let us examine the add-ons that possess these features and rank in the Skype recording software for Windows category. TalkHelper is a sophisticated add-on that is designed to aid storing all Skype interactions on the Windows OS. Much more than just a recording software for your calls and chats on Skype, TalkHelper is a full-stack conversation filing add-on for your Skype recording. This is why it ranks as the number one on our list. With a custom-made capacity to work in sync with the Skype application and save your video calls from both ends, TalkHelper is the go-to app when in search for a compact app for storing Skype communications on Windows. Furthermore, it can record voice calls, chats, and voicemails on Skype. You now see the reason why we labeled it a full-stack Skype cataloging add-on for Windows. 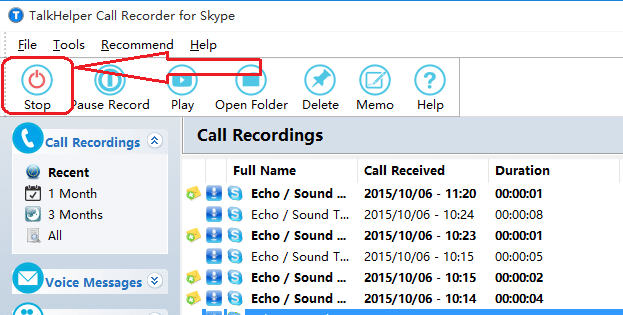 TalkHelper stands out with its bespoke manner of recording files on Skype. Many Skype recorder for Window available in the market today only save screenshots of your conversations. Rather than this, TalkHelper works from within Skype to collect your conversations and save them as a file in a number of formats that can be easily retrieved and transmitted. In the tech world, simplicity does it. That is why the ease-of-use is a key consideration in ranking the most efficient software for saving Skype files on Windows here. Without any bias, TalkHelper UI/UX is fashioned in a very straightforward and directional manner such that it is easy to use. This makes it a more preferred add-on for recording your Skype audio/video chats on Windows. More so, TalkHelper saves your conversations in a separate folder for easy retrieval so you don’t wander around when you need to get back to your files. Pamela is a Skype recorder software that is crafted with professional users in mind. The facility of transferring your Skype calls while using Pamela affirms that. So, if you are all out to get that Skype recording program for Windows that can give you the ease of transferring calls among your colleagues in the office, Pamela for Windows is there for your pick. As a plus to the deliverables of Pamela, it gives you the ability to record your podcast if you are bloggers. So you can make it a recorder and a chronologic tool for filing all your podcasts for later retrieval. Like TalkHelper, One of the outstanding features of MP3 Skype Recorder is that it can collate information about the calls you make on Skype while using it. This makes it a good pick for a user who is meticulous about the information of the users they are conversing with. It helps extract details like names and phone numbers of the calls you receive while using it. So, you can always make reference to who called you and when. It also saves your Skype recording in different formats like WAV and MP3 on Windows. We must give it to Amolto for the easy to use interface. This is one of the most outstanding features that makes a conversation recorder for Skype rank in the best 12 categories. In this age where users are king, if a Windows app does not appeal to them via ease of use, it cannot fly. Also, Amolto for Windows works well with other VOIP applications to save Skype calls and chats, so that makes it two good picks for the price of one. More so, it churns out high-quality video and audio format so that you are rest-assured of quality output. The DvdVideosoft Skype recorder for Windows avails you the feature of instant conversion of your video calls to MP4 and your audio calls to MP3 versions. This makes it possible for you to transfer you’re your Skype recording to any device and any selected format on Windows. Added to this, is the low size of the Windows app. This makes it compact and very easy to download and use. So, if you are looking to have a Skype call recorder on Windows that is small enough to work well and also gives you the leisure of multiple format files, this will do for you. Like a few other Skype recording software on Windows, iFree Skype recorder is very efficient for people who are choosy about their sound record preference. This is because iFree allows users to select their preferred mode of the audio output format. Whether you opt for the mono or stereo output format, you are assured of high-grade output. Secondly, it also allows you to preset customized messages as answering machine for your Skype calls. This comes in handy for when you are busy or not disposed to pick your Skype calls on Windows. To stall screen hindrance iFree allows you to minimize the app on your Windows device so that you can carry on with other things. 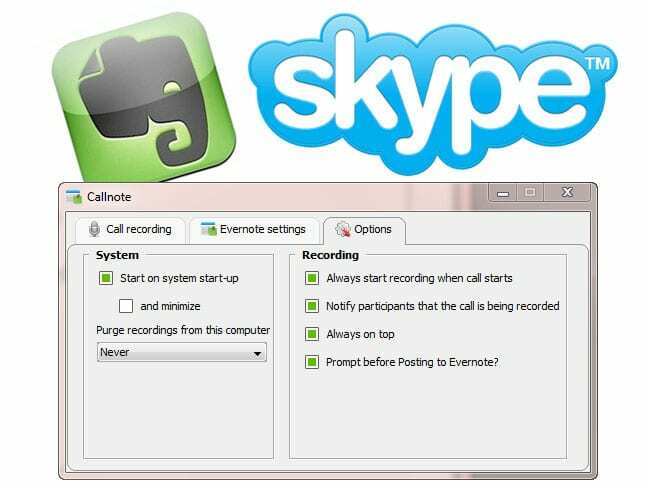 As is usual among the add-ons that rank among the best Skype recorder for audio and video calls on Windows, Evaer for Windows is apt to automatically detect calls and initiate the recording of your conversations. This is the height of sophistication and ease of use. 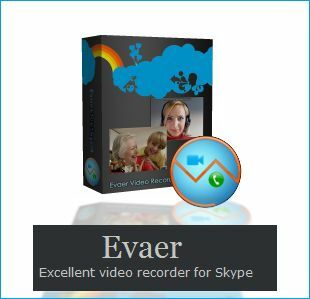 Much more than the custom sophistication of auto call recording, Evaer is also designed to record your Skype video files Side By Side or one-sided only (i.e. from your end or from the other caller’s end only). The fact that the Vodburner opens on a small pop-up makes it a very effective use for on your Windows PC. This means that you can get on with recording your conversation while you still do other things on your Windows PC. This makes it very easy to use. You can also choose to edit the files you have a recorder for transmitting sake. This editing comes with transition effects that can turn your recordings to high-quality audio/video outputs. More so, your files volume is stored on the device so that you can monitor the volume of space that is being consumed. With multiple choices for adding addendums to your call data, Callnote for Windows comes with additional features like sharing facilities for your recorded data. This allows you to share your recorded Skype conversations easily and efficiently with your partners or whoever needs to have them. As an aid to sharing, Callnote for Windows includes call details in your recordings like name and other detail for easy filing. 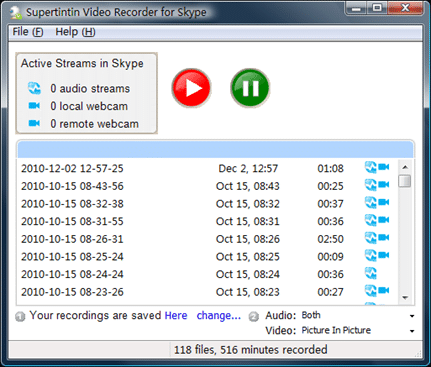 Being one of the earliest Skype recorder for Windows, Supertintin is designed in a way that offers user satisfaction from the design to the functioning. This user satisfaction ranges from using PC microphone for recording and also havethe minimizing capacity that makes the Windows app runs in the background while you do other things. This is a clear interpretation of an add-on that is designed with the user in mind. With this conversation recorder for Skype on Windows, you can run a non-interrupted recording while still performing other duties. 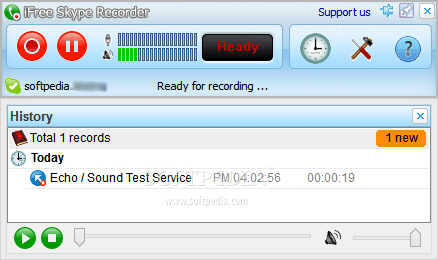 Since transference of data relies heavily on the file format for different devices, it is important to factor in file formats for a good call recorder for Windows. PrettyMay save your files in popular formats WAV or MP3 formats for ease of transfer and sharing. At present, this add-on can send automatic SMS and voice messages to preferred contacts on your list. This makes it a sophisticated user choice. CallGraph is designed for ease of use to the everyday person. After download, it requires that you prompt or authorize the add-on to work with Skype. This creates a kind of security check between the add-on and your traditional Skype software. More so, it also comes with multiple file record formats like WAV and MP3 so you are rest-assured of easy sharing across multiple devices and for a different use. There are a few things you need to look out for when surfing for a good Skype call recorder for Windows. This can mark the difference between doing it well and ruining your podcast, conference conversation or interview session. From record output quality to crash-proof assurance, some features are a must-have if you must get a call recorder that you can rely on. Here, we will discuss the complete starter guide to picking out the best Skype recording software for your professional or personal use. Perfect audio / visual quality is an important factor when it comes to making the choice of a Skype recorder for Windows. One cannot emphasize this enough. It is important that you take into cognizance the output quality of the Skype add-on to use for recording your Skype conversations. A survey of some random Windows recording software for Skype revealed the major audio problems that are encountered by users in their recording. Some of those problems are 1) overlapping audio conversation 2) loss of audio during recording 3) distorted audio output 4) one-sided audio record. The problem of overlapping recorded conversation is one major issue that has bedeviled many windows Skype call recorder. This happens when recorded conversations of the caller and the receiver are slugged on-top of each other so that one cannot clearly mark out the caller’s message from the receivers’. Scenarios like this jeopardize the quality and usefulness of the recorded data and can be very frustrating. Based on extensive study of users’ feedback and reviews, TalkHelper’s Skype recorder and Evaer video recorder for Skype are the only software that does not have any documented case of overlapping audio when recording conversations on Skype. 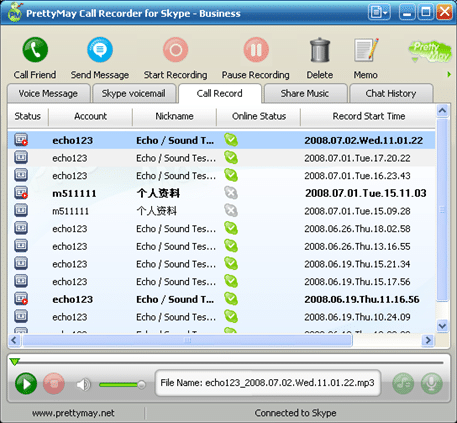 Many times, users of call recorder on Windows submit complaints of losing audio recording after ending their Skype calls. This occurs when the recording app in use fails during Skype recording or outrightly shutdown. Most frustrating about this is that the loss of audio recording happen without warning and you only detect the anomaly when you attempt to retrieve your audio file. Sampling a large percentage of the software available for recording Skype conversations on Windows, many of these show constant audio data loss during Skype conversations. A smaller percentage saw infrequent data loss at the third to the fifth consecutive recording of calls above 3 minutes. However, TalkHelper call recorder, Supertintin Skype video recorder and MP3 Skype Recorder were the only ones that offer consistent accuracy of recorded data regardless of the duration of conversation and the frequency of Skype calls made. More often than not, many Skype recorder for Windows just inadvertently give out a warped audio version of your calls on Skype. This is usually caused by distortion in the digital recording of the app which is better known as spiking voice recording. In cases like this, the audio output of your recorded data will play out low or high pitched ‘chipmunk-like’ audios that one cannot make any sense of. Situations like this render your data totally unintelligible and useless because no tangible information can be extracted from such recording. 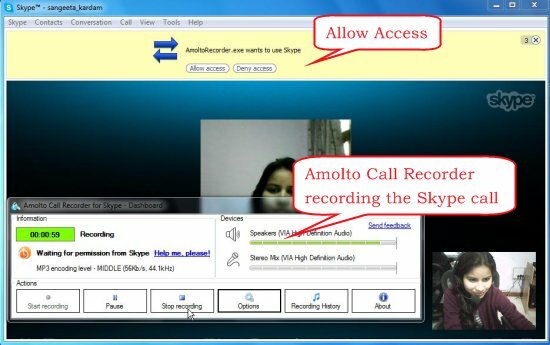 Cross-platform test carried out on various Windows Skype recorder shows that among the popular app for windows available, only TalkHelper Skype recorder users do not experience the distorted audio scenario. This occurs when the Skype recorder fails to conserve both sides of the Skype conversation. In this case, it could be that only the Skype caller’s conversation audio is saved while the receivers’ details will be lost or the other way round. This anomaly is usually caused by momentary system failure in the Skype recording app in use. One-sided record not only affects the quality of the audio recording, but it also renders the saved data complete useless because a one-sided saved data will be as unintelligible to the caller as it will be to the receiver. Extensive research into this problem showed that most Windows Skype recording app that encounters this problem periodically does not review the software to meet the latest adjustment in the updated Skype software. TalkHelper’s Skype recorder however, is designed with state-of-art techniques that make it work and sync well with Skype hence, there is no recorded case of one-sided audio recording. Upside down video record when using Skype recorder on Windows is a problem that occurs when the add-on in use deselects the “auto-rotate” option of the app setting. To many unsuspecting users, this causes a great level of problem in their personal and professional life as it could affect the usefulness of file presentation. The reason for this random deselection may be traced to the weakness in the advanced functionality of most of the Skype recording software available. Without much ado, TalkHelper developers have envisaged this problem and developed the app to auto-select this option and save you the stress of battling upside down recordings. One of the issues that militate against the quality of visual output of some Skype recording add-on for Windows is the momentary failure to detect visual file in a Skype conversation. This is usually caused by bug infiltration of the Windows Skype recording app that is being used to save the visual conversation. In cases like this, your saved data will not reflect any visual part and at the height of it, the add-on shows a prompt message that “…it cannot detect video stream”. As a forward-thinking service provider, TalkHelper call recorder is necessarily built with the capacity to forestall the occurrence of such a situation in your video calls through Skype for Windows. Therefore, users of TalkHelper do not have to worry about failures like this. Security and System Maintenance Check: periodical system checks is also a way to aid your recording app to deliver quality visual reception and output. Simple malware infection in your Skype recording software can largely affect how your recorder functions. So, performing a thorough and periodic security check-up to filter out bugs and malware will contribute immensely to the quality that your Skype add-on will deliver. It is of utmost importance that your choice recording application should be highly reliable and assuring. This assurance goes a long way in ascertaining the satisfaction that you get as a user. Being reliable means that the software is free of all types of setbacks that can impact the general experience that you get as a user. Below are a few of the factors to look out for when scouting for a good grade Skype call recorder application for Windows. If a Skype call recording app suffers any glitch during its recording session, it affects the overall output that the user gets. This means that the outputted data will be lost and cannot be retrieved. Many Skype calling records apps for Windows suffer this setback as a result of internal malfunctioning and this has cost users more than can be quantified. Imagine estimating the loss of the data recorded from a one-time opportunity interviewing of an industry influencer? 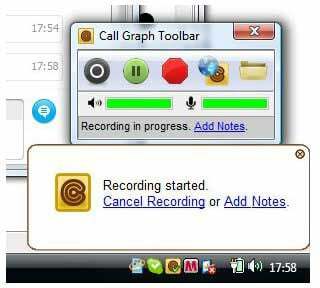 In this case, TalkHelper’s Skype recorder stand out among the pack as a quality software for recording Skype conversations for Windows that does not give the experience of glitches during your call recording for Skype. It reliability has been measured by hundreds of reviews and feedback from satisfied users. There are instances that some mediocre Skype recording applications just crashed in the middle of important Skype conversations that renders the users totally helpless. Much more than this crashes are the momentary non-compatibility of those software with Skype for Windows. This non-compatibility usually affect the quality of the users’ Skype software or ultimately crashes users Skype application. This limitation from crappy Skype call recording software regardless, TalkHelper’s Skype Call Recorder stand tall as a trusted brand that delivers premium quality to its users and does not suffer any breakdown. More so, its high compatibility with Skype for Windows is affirmed with years of smooth Skype recording for users. The question of whether free software is comparable to a paid one is largely dependent on the user’s preference and needs. To argue for which is better between paid and free Skype recording software for Windows is not an argument at all. Without much fuss, it is non-contestable that paid Skype recorder provide more advantages and benefits than free ones. So the choice is largely dependent on the need of the user. In the case of Skype for professional use, I can’t help but proffer the need to use a paid Skype recorder. First because of the access to premium facilities like unlimited recording capacity and access to premium features that will serve as an aid for your business needs. Also, there is the confidence of access to first-hand treatment when it comes to updates on some features that are important to quality delivery. In a nutshell, the onus falls on the user to understand their needs and weigh the options in making the decision for a paid or free version of Skype recorder for Windows. For a great user experience with Skype call recorder for windows, it important that the software is constantly upgraded for compatibility and tailored to work with recent upgrades. Below, we will discuss the reason for this. With the frequent evolution of digital opportunities and advancement, service provider software like Skype and Windows constantly upgrade their applications for better service delivery. In the same vein, applications that render aiding services to providers like Skype and Windows need to consistently upgrade their apps to meet up with the latest modifications and advancements. This, however, is not the case with most Skype recording app for windows. A survey into the market showed that a large percentage of the available call recording apps available today do not perform the required constant upgrades that make them work better with Skype. This shows the reason why many of the users of those Skype recorder have bad tales to tell. All hope is not lost though, as TalkHelper stands out as the Skype recording add-on that constantly upgrades its software to meet Skype and Windows’ requirements. Here is one more reason you want to make TalkHelper your skype call storing app. As is the case that the Skype application conforms to all the versions of Windows available (Windows 7, 8 and 10), so it is important that all the software that store conversations on Skype for windows should be compatible with all Windows OS version. Quite unfortunately, only a few add-ons provide this necessity for users. Among these ones, TalkHelper’s Skype call recorder ranks best based on users’ feedbacks and reviews. This is because the developers of TalkHelper believe that no Windows OS version user should be cut out of the benefit of enjoying a full-stack Skype call recording software. In these days of customer rise to a commanding position, it is important that developers factor in ease of use for a greater UI / UX experience for users. Sadly, this is not the case for all Skype call recorder apps for Windows. Quite a number of the available add-ons prove quite difficult to use and more so have interfaces that are as confusing as they are clumsy to use. This cause a large number of fall-off users. Based entirely on independent app reviews and users feedback, TalkHelper ranks high as a Skype conversation recorder that is sleek, easy to use and delivers efficient service. With this level of positive feedback from users, wouldn’t you rather make TalkHelper your choice Skype Call add-on for Windows? Given the extensive analysis of the various relevant factors that you should consider when seeking out a promising software for recording your Skype conversations on Windows, we believe that you are better equipped now to make sound judgments of choice. This liberty regardless, we will like to nudge you in the direction of TalkHelper. We make this recommendation because hundreds of users like you have given satisfactory feedbacks about TalkHelper recorder and we believe that cannot be wrong.